Playmaster were asked to remove an existing playground, (retaining the swings), and to design,supply and install a mixed age playground in the naturally shaded rectangular sandpit. 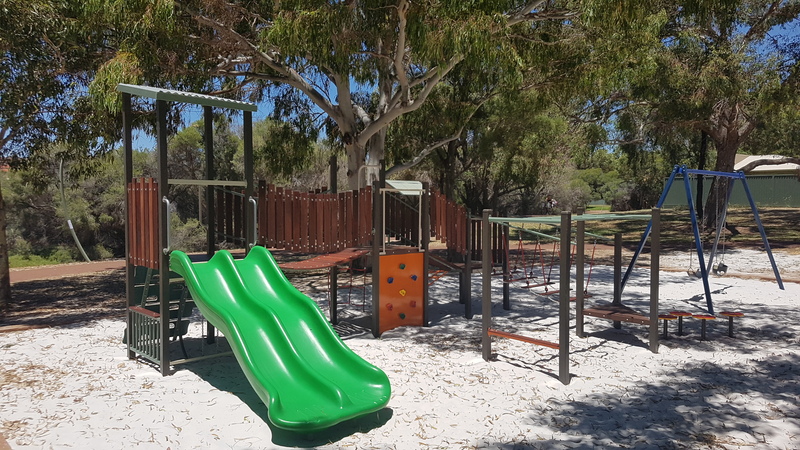 The location was surrounded and shaded by gum trees and was the perfect opportunity for Playmaster to install their first Rustic Range playground. We selected a coppered steel colour for our platforms and uprights to blend with the surrounding trees, and bright orange and red to highlight our nets and climbing components.The warm timber tones of our Rustic components enhanced the natural appeal of the area.